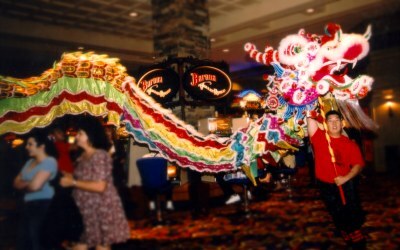 The Chinese New Year celebrations come to San Diego at Barona Valley Ranch Resort & Casino on New Year's Day and continue for the next two weeks leading up to the Lantern Festival. 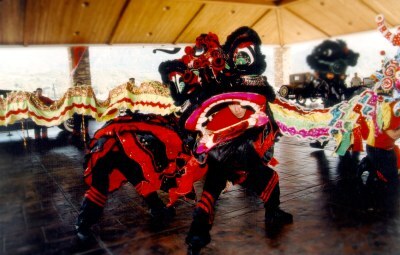 On New Year's Day, the celebrations kick off with a vibrant performance by lion and dragon dancers, a time-honored tradition that celebrates the New Year with large, decorative animal costumes that are carried by animated dancers. The festivities also include good fortune giveaways. The VIP opening ceremony drawing with a total cash prize pool of $8,888, a very lucky number in Asian cultures and in true Lunar New Year tradition, Barona will also reward casino guests with free Hong Bao (lucky money) on the first and last days of the event. The closing celebration, on the last day of the event, features giveaways including $25,000 in cash and a luxurious Mercedes-Benz!! Where? : Barona Valley Ranch Resort & Casino at 1932 Wildcat Canyon Road in Lakeside.